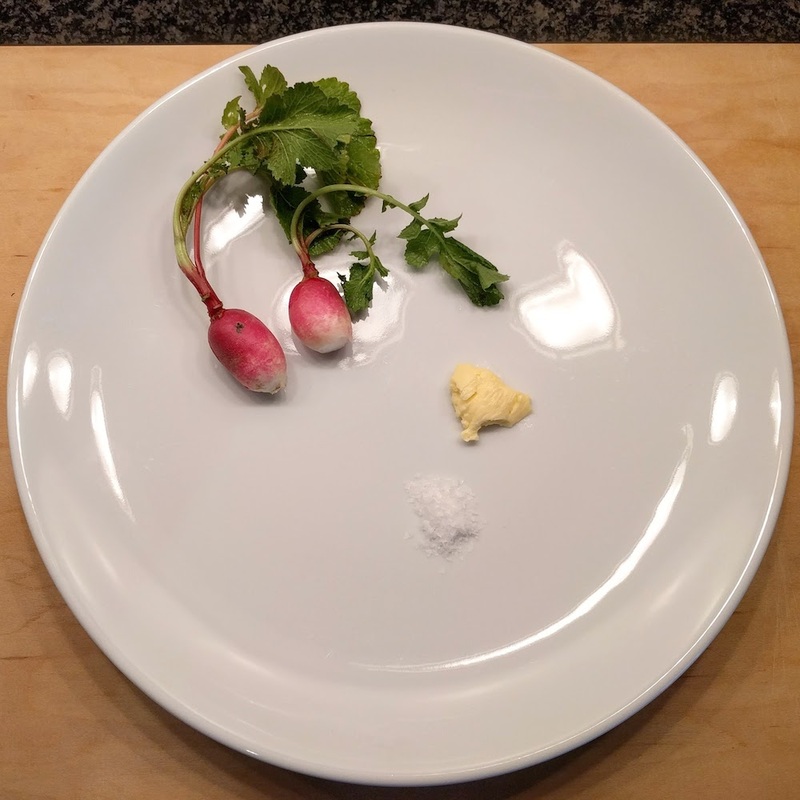 This course is a study in simplicity - fresh raw French Breakfast radishes, served with homemade butter and a small bit of Maldon flake salt. Guests are intended to smear some butter on each radish and sprinkle on a pinch of the salt, a very French way to eat radishes. The butter perfectly balances and complements the spicy pepperiness of the radishes. Soften the butter at room temperature until spreadable. Wash and trim the radishes, leaving the stems attached. Dry on paper towels. Add 2 radishes to each plate, add a dollop of the softened butter, and a pinch of Maldon. Serve.